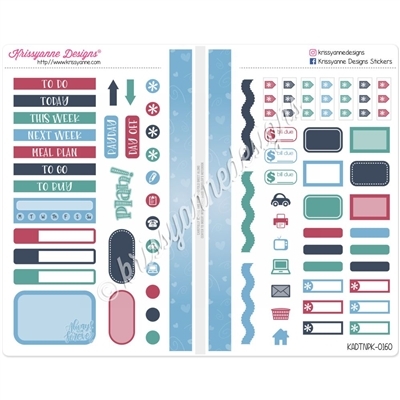 With this set, you will receive one sheet of stickers as pictured that is intended to be folded in half and used in your pocket-sized traveler's notebook. You will receive a variety of functional stickers that coordinate with our Sweeter Life collection. Please see photo for all stickers included.